HKN Music artist Sina Rambo is back on the scene after a long hiatus, with a scintillating new sound. 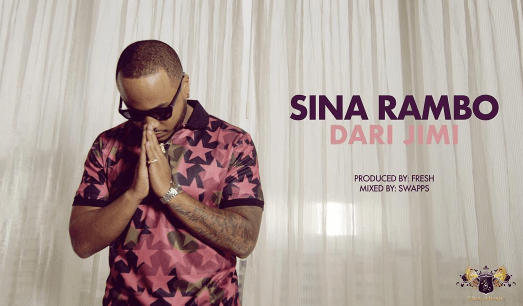 His latest record, titled ‘Dari Jimi’, shows Rambo’s versatility as he delivers a lovely romantic hook and dope rap verse as usual along with a unique instrumental with influences from Ghana and Jamaica by “FRESH”. Dari Jimi is a Yoruba word for “forgive me”. This amazing video was directed by SINA & HG2 Films. This is one of numerous record The NBYS head honcho Sina is set to release as he is soon set to drop a project.